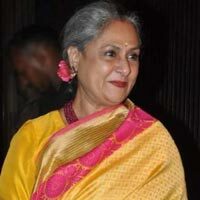 Jaya Bachchan has in no uncertain terms displayed her dislike towards being clicked by the papz at several occasions and she has also reprimanded photographers many a time for clicking her pictures without her permission and Mrs. Bachchan did it again as she got ready to leave Karan Johar’s mother, Hiroo Johar’s birthday party, which was held at a posh restaurant in suburban Mumbai and this time, a bystander was at the receiving end. During an episode of Koffee With Karan, Jaya’s kids, Abhishek Bachchan and Shweta Bachchan had revealed that their mother gets very claustrophobic when there are too many people around her and that she doesn’t like it when people take her pictures without her permission. 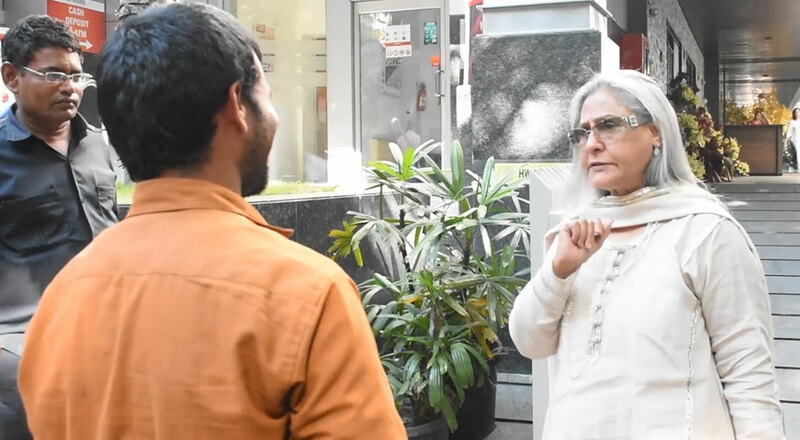 Well, we feel Mrs. Bachchan really needs to take a chill pill. 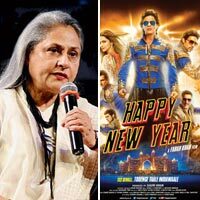 Jaya Bachchan Feels ‘Happy New Year’ Is Nonsensical?